Many privileged members showed up at our annual members’ BBQ last Sunday at La Fourchette du Diable on the North Side. 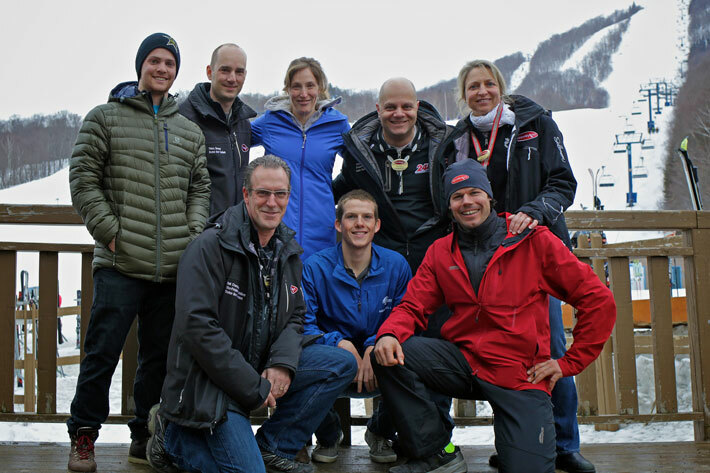 Tremblant Season Passholders with privileges and Club des Montagnards members (Intrawest homeowners) were all invited to celebrate the end of a great ski season and share their experience with Tremblant’s management team. Our athletes-ambassadors also took part in this event. Thus, our privileged members had the opportunity to meet Jasey-Jay Anderson, Vancouver Olympic alpine snowboard Gold Medallist, and Ariane Lavigne, who got a third position at the Sochi Snowboard World Cup in February, becoming an Olympic hopeful for the 2014 Sochi Games. We also took this special occasion to introduce our new ambassador, Alexis Godbout, member of the Slopestyle Canadian Team who is also aiming for the Sochi Olympic Games. Our summer ambassador, Francis Lefebvre, also joined us for the first time. We are proud to support this triathlon junior champion in his quest to becoming a member of the triathlon national team and take part in the 2016 Summer Olympics in Brazil. In this photo, top row, from left to right: Alexis Godbout, Thierry Brossard, Vice-President of Legal Affairs, Ariane Lavigne, Patrice Malo, President and Chief Operating Officer, Annique Aird, Vice-President of Sales, Marketing and Communications. Bottom row, from left to right: Neil Champagne, Vice-President of Operations, Francis Lefebvre and Jasey-Jay Anderson. Alexis Godbout, member of the Slopestyle National Team, with Alexandre Brossard. 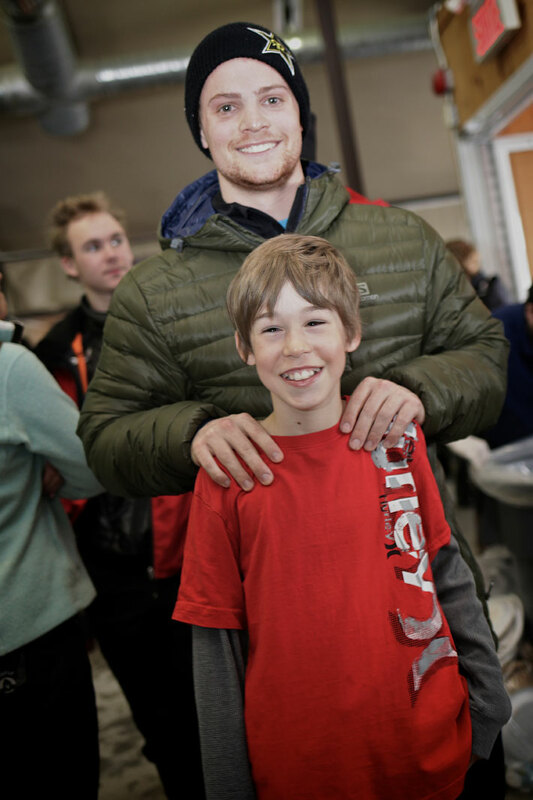 The 10-year-old skier and member of Tremblant’s Club Performance is very proud to have met our future Olympians.